In this post, we have compiled a list of top 10 universities in South Africa which is based on the latest rankings from University ranking bodies like QS BRICS University Rankings, QS World University ranking, the Times Higher Education World University Rankings, and the Academic Ranking of World Universities. Keep on reading to have an overview of the 10 highest-ranked South African universities in this year’s University ranking. 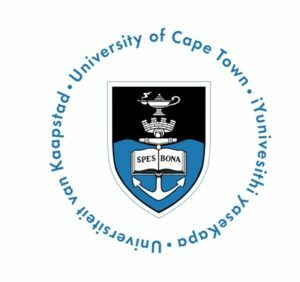 The University of Cape Town was established on 1st October 1829 and was formerly known as South African College. According to rankings by QS World University Rankings, the Times Higher Education World University Rankings, and the Academic Ranking of World Universities, UCT is the highest-ranked University in South Africa and Africa as a whole. The school currently has over 28,000 students which include both undergraduate and postgraduate students. The university is located in Cape Town, Western Cape, South Africa and it has 4 urban campuses and 2 sub-urban campuses. 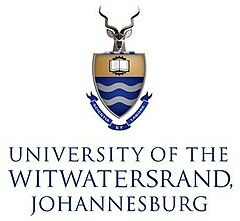 The University of Witwatersrand is the third oldest university still running and was founded in 1896 as the South African School of Mines in Kimberly. The school is located at Johannesburg, Gauteng, South Africa and became fully established in 1922 and now currently has over 38,000 students and over 1,000 full time and permanent staffs. The university is divided into five academic campuses. The main administrative campus is the East Campus. Across the De Villiers Graaff Motorway lies the West Campus. The other three academic campuses are all located in Parktown. The University of Pretoria is a public university located in Pretoria, South Africa. The University was established in 1908 and is regarded as the 4th oldest university in continuous running. It is located in Pretoria, Gauteng province of South Africa. The University which originally commenced operations with 32 students has grown to be able to house over 30,000 students including both postgraduate students and undergraduate students. Stellenbosch University is ranked amongst the top 5 universities in Africa and top 500 universities in the world. 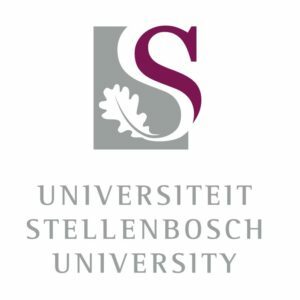 You can also check out the full list of faculties and departments in Stellenbosch University in case you are willing to choose the university for your undergraduate or postgraduate studies. The University of Johannesburg is a public university that is located in Johannesburg, South Africa. UJ came into existence on 1 January 2005 as a result of the merger between the Rand Afrikaans University(RAU), the Technikon Witwatersrand (TWR) and the Soweto and East Rand campuses of Vista University. UJ is composed of eight distinct faculties and a total number of 35 residences spread across the four campuses. The University of KwaZulu-Natal was formed on 1 January 2004 after the merger between the University of Natal and the University of Durban-Westville. It is located in the province of KwaZulu-Natal in South Africa. The school has more than 40,000 students enrolled on its five campuses which include: Pietermaritzburg campus, Howard College campus, Westville campus, Nelson Mandela medical school campus, and Edgewood campus. Rhodes University is a public research university that was established in 1904. It is located in Grahamstown in the Eastern Cape Province of South Africa and is one of the four universities in the province. Rhodes University is the province’s oldest university and the fifth or sixth oldest South African university in continuous operation. The University has over 7,000 students and over 300 academic staff. The University of the Western Cape is a public university located in the Bellville suburb of Cape Town, South Africa. The University was established in 1959 and the school which originally enrolled 166 students in its first year now currently has over 22,000 students. In 2014, Webometrics ranked the university the 6th best in South Africa, 7th best in Africa and 885th in the world. The North-West University is a South African university that was established on the 1st of January 2004 by a merger of Potchefstroom University for Christian Higher Education and the University of North-West. It is one of the largest universities in South Africa and has over 60,000 students including postgraduate and undergraduate students. The North-West University has three campuses located at Potchefstroom, Mahikeng and Vanderbijlpark, South Africa. Last on our list of top 10 universities in South Africa is The University of the Free State which is a public university in Bloemfontein, South Africa. The University was established in 1904 and was formerly known as the University College of the Orange Free State. The university has over 30,000 students and 3 campuses which are South Campus, Bloemfontein Campus and Qwaqwa campus. You have seen the latest rankings of the top and best universities in South Africa. These rankings can change at any time but for now, that is the list of top 10 universities in South Africa.